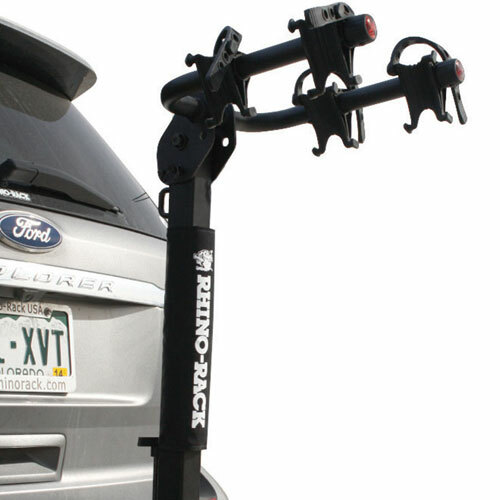 Rhino-Rack Trailer Hitch Receiver Mount Bike Racks and Bicycle Carriers are in stock and on sale at The Rack Warehouse. 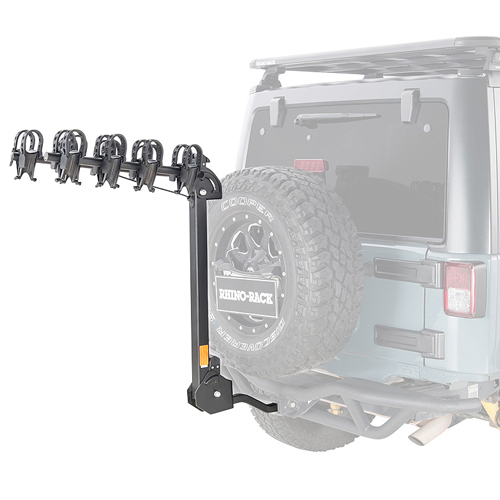 Rhino-Rack Trailer Hitch Receiver Bike Racks are designed and constructed with heavy-duty, powder coated steel and rugged composites - providing a strong, durable, lasting bike rack. Rhino-Rack designs hitch bike racks to fit both 1.25" and 2" receiver hitches and a wide range of bike frames and sizes. 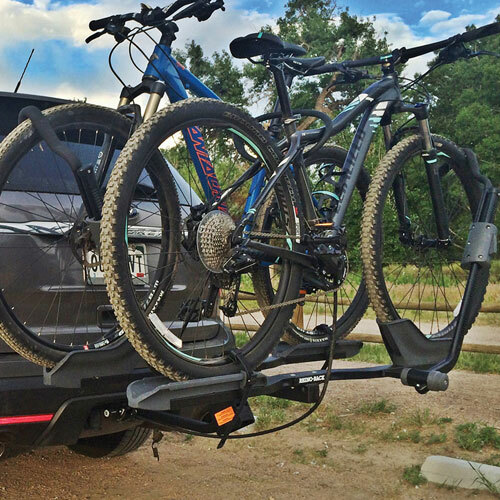 The Rhino-Rack Dual Trekker Platform Style 2 Bike Hitch Mount Bicycle Carrier is designed to hold 2 bikes and may be tilted down, with your bikes loaded - allowing easy access to the rear of your vehicle. Free Shipping on all Rhino-Rack orders over $99.